On September 7, 1876, the First National Bank of Northfield, Minnesota, was robbed. Historians agree on that much. But ask them anything else—Who was in the bank? How many robbers? Why Northfield?—and you’ll likely be as confused, frightened and/or angry as residents and outlaws were on Division Street 136 years ago. Well, historians also agree on this: Northfield was one bad career move for the James-Younger Gang. I think the gang was a victim of its own success,” says Pulitzer Prize winner T.J. Stiles, author of Jesse James: Last Rebel of the Civil War. 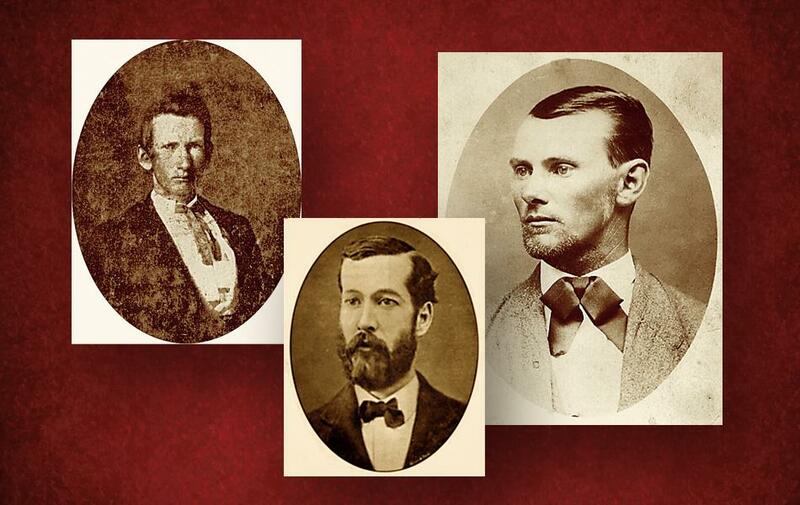 Missourians Frank and Jesse James and Cole, Jim and Bob Younger were products of the bloody Kansas-Missouri conflict during the Civil War. When the war ended, they did not return to peaceful farming. 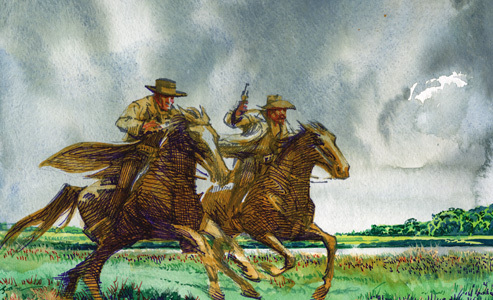 On February 13, 1866, a gang of 10 to 13 “bushwhacking desperadoes” robbed the Clay County Savings Association in Liberty, Missouri, the first daylight bank robbery in peacetime America. 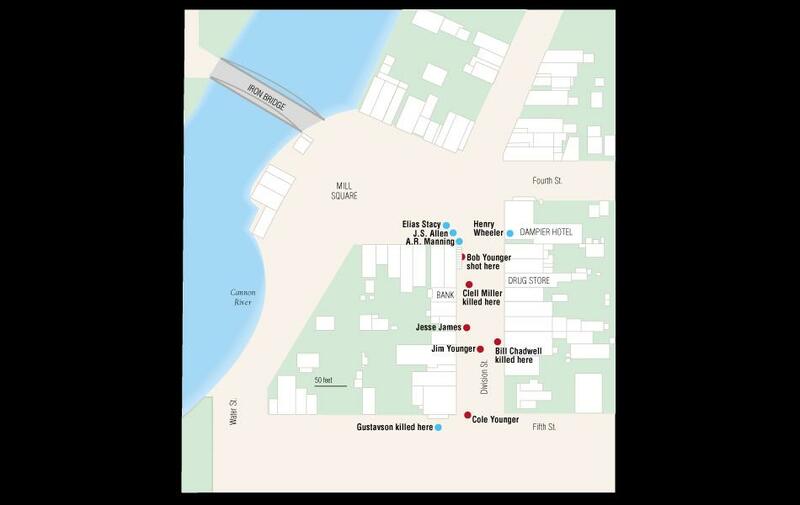 Eventually, the James-Younger Gang would be linked to that crime (although that’s also debated) and a string of robberies—banks, stagecoaches, trains, even the Kansas City fair’s box office—that followed in Arkansas, Iowa, Kansas, Kentucky, Missouri, West Virginia…. 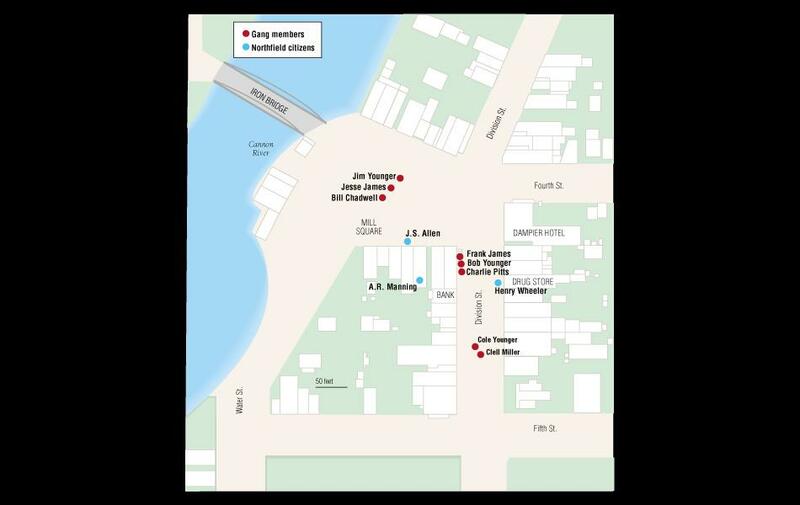 Gang members came and went, but in 1876, the Jameses, Youngers, Bill Chadwell (and possibly Bill Stiles), Charlie Pitts and Clell Miller found themselves in Minnesota. Stiles provides this reason: To punish Adelbert Ames, a former Union general and Reconstruction governor of Mississippi hated by many Southerners, and Ames’s father-in-law, radical Republican Congressman Benjamin Butler. Both had money in the Northfield bank. The Missouri bandits either came by horse or train (also debated), and landed in St. Paul. John J. Koblas, author of Faithful unto Death: The James-Younger Raid on the First National Bank, September 7, 1876, Northfield Minnesota, thinks the boys picked St. Paul because the city is where Jack Chinn, a former Confederate from Kentucky, owned Chinn and Morgan’s gambling house. Chinn also raised thoroughbreds (he co-owned 1883 Kentucky Derby winner Leonatus), and Koblas argues that Chinn supplied the gang with horses. After leaving St. Paul, the boys split up, traveling across southern Minnesota. They may—or may not—have considered robbing a bank in Mankato (Stiles dismisses it; Gardner and Koblas don’t). 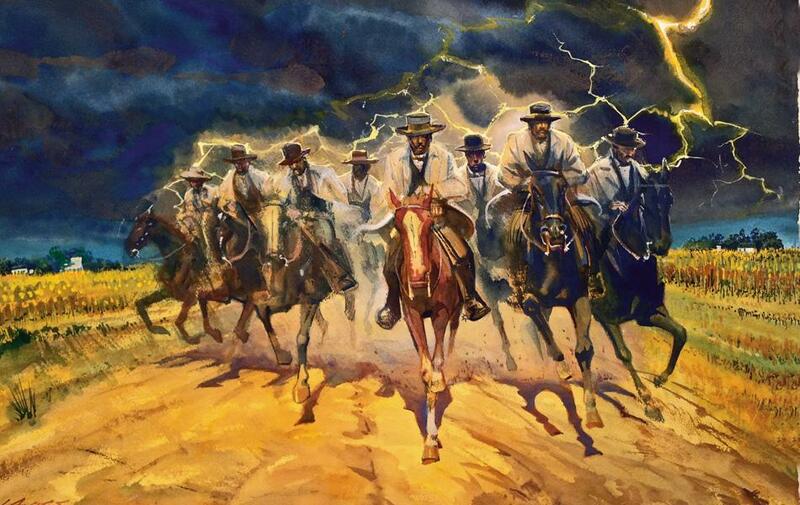 In any event, on September 7, eight men rode into Northfield. Stiles and Gardner don’t buy it. But all three accept this: Around 2 p.m. on September 7, three men rode into town, tethered their horses to hitching posts and sat on dry goods boxes in front of Lee & Hitchcock’s store. The town was packed when Cole Younger and Clell Miller rode up and watched their three companions enter the bank. “They are going in,” Miller said. After dismounting, Miller walked to the bank’s entrance and closed the front door. Younger pretended to tighten his saddle cinch. Suspicious, Northfield resident J.S. Allen walked to the bank door and tried to look in. Miller jerked him away, drew his pistol and began cursing at the man. Allen ran to a nearby store, sounding the alarm. Younger and Miller mounted their horses. Other outlaws galloped to the scene, shooting, shouting, trying to scare off the residents. Instead, some residents got their guns. Inside, things weren’t going well either. 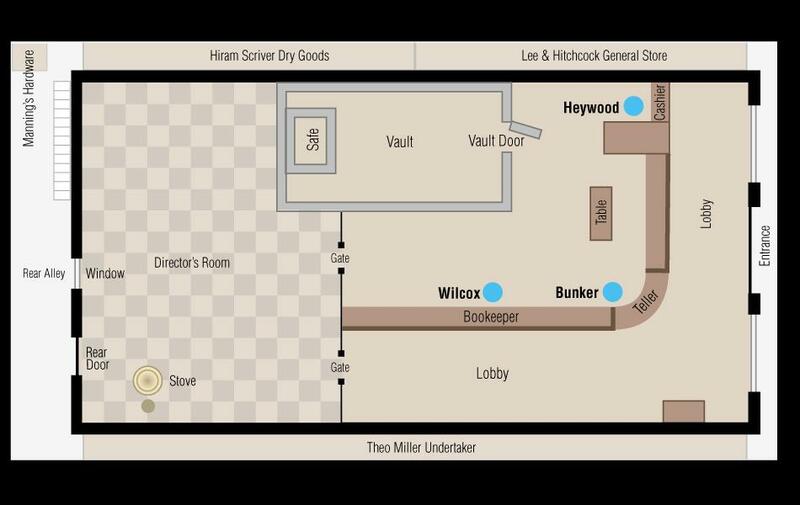 Heywood was brained with a pistol, and as the outlaws tried to coerce Heywood, Bunker ran for the back door. Pitts shot him, but Bunker escaped and lived. 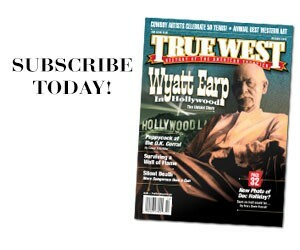 The last outlaw to leave the bank put a bullet in Heywood’s brain. Out of the more than $15,000 in the bank, the outlaws made off with $26.70. The robbery had lasted roughly seven minutes. 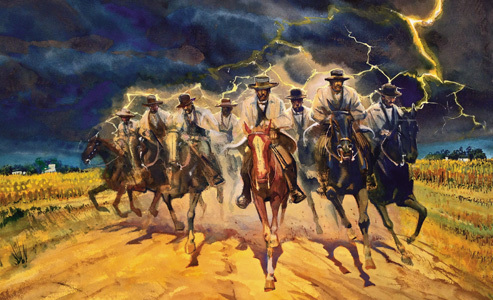 The surviving outlaws—six men on five horses—galloped out of town, leaving behind two dead robbers and one dead banker (Heywood) and one dying citizen (unarmed Swedish immigrant Nicolaus Gustavson, shot in the head on the street). 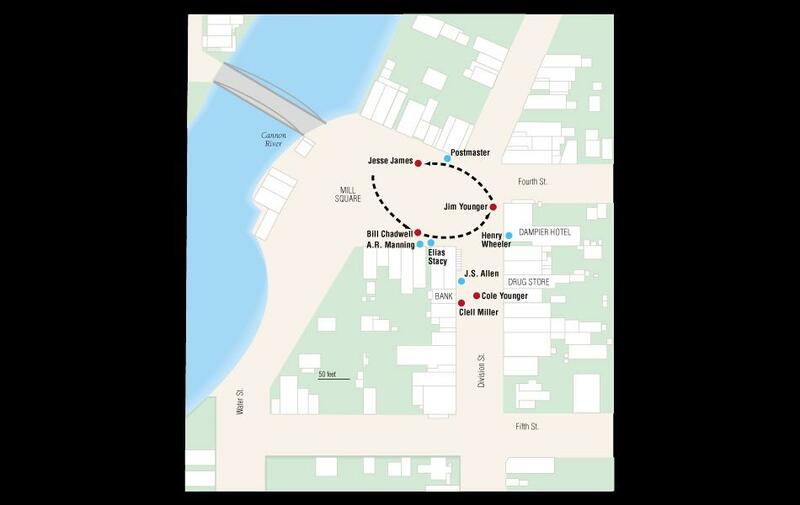 They crossed the Cannon River at Dundas, three miles south, then moved west (Koblas documents the who-knows-what’s-true route in Jesse James Ate Here: An Outlaw Tour and History of Minnesota at the Time of the Northfield Raid). Meanwhile, Minnesotans gave chase. How did Jesse and Frank manage to get away? 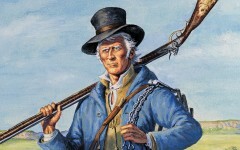 Indeed, Pitts died game, killed in the barrage, and the Youngers again were riddled with bullets, but somehow survived. They would patch themselves up, plead guilty (to avoid a hangman’s noose) and be sent to Stillwater prison. Bob Younger died in prison of tuberculosis in 1889 at age 35. Cole and Jim were paroled in 1901. In 1902, Jim killed himself. The next year, granted a conditional pardon, Cole returned home to Missouri. He died in 1916, just a year after Frank James’s death. Cole never implicated the James boys in the Northfield crime. Did Frank and Jesse learn anything from Northfield? That lesson likely came too late. On April 3, 1882, gang member Robert Ford shot and killed Jesse in his home in St. Joseph, Missouri. Johnny D. Boggs, author of the novel Northfield and the nonfiction book Jesse James and the Movies, says he was nowhere near Northfield in 1876. The Six Who Didn’t Get Away After the debacle at Northfield and the capture of the Youngers at Hanska Slough, photographs of the captured gang were widely sold for four bits. 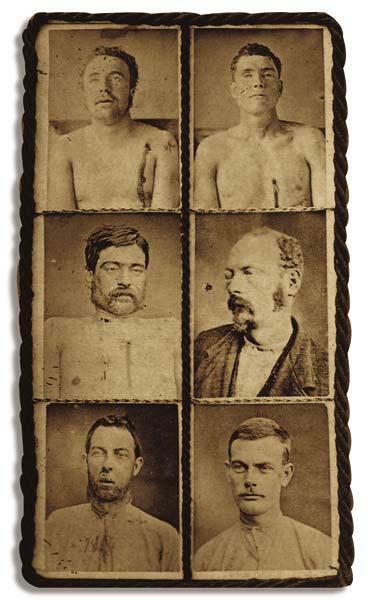 A photo collage of the dead and captured robbers was printed as carte de visites and collected and sold throughout the United States. Six of the robbers are shown here (top, left to right): Clell Miller (in death), Bill Chadwell (in death), Charlie Pitts (in death), Cole Younger (wounded), Jim Younger (wounded) and Bob Younger (wounded). 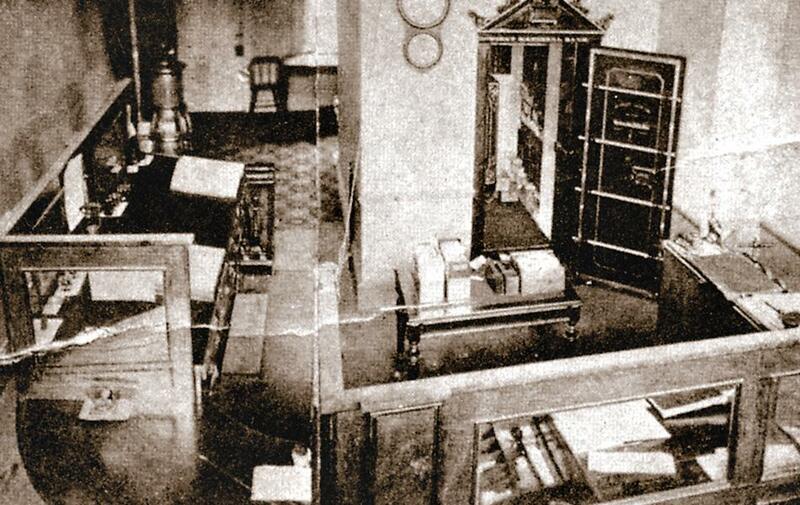 Interior of the First National Bank: The three robbers entered the front doors and jumped the teller’s counter window. Alonzo Bunker ran out the back door and made it to safety through the alley. Ironically, prior to the robbery, the bank directors had just concluded a meeting during which they discussed moving the bank to a more permanent, and secure, location. Phase One As the mounted gang members crossed the iron bridge, the townsmen began to take notice. Frank James, Bob Younger and Charlie Pitts tied their horses in front of the bank and walked to the corner to sit on dry goods boxes. As soon as they saw the Jesse James-led trio cross the bridge, they got up, walked to the bank and went inside. Phase Three As the seconds turned into minutes, gunfire from locals at the Dampier House and the hardware stores drove the mounted riders from Mill Square. Choked off from the only bridge crossing, the gang retreated south out of town. They eventually crossed a bridge at Dundas. Phase Two After J.S. 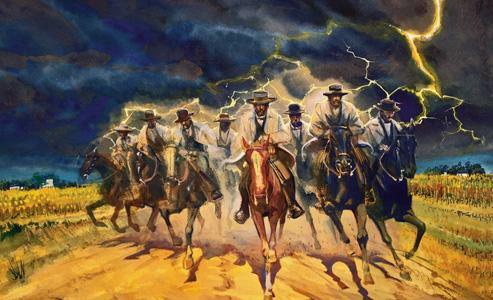 Allen set off the alarm, Cole Younger fired his warning shot, and Jim Younger, Jesse James and Bill Chadwell began riding the perimeter of the square, demanding that bystanders “get in.” Within moments, the locals began shooting at the riders. Northfield Revelations A lifetime of research, writ large. 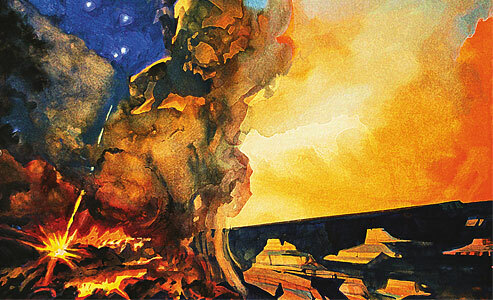 The Outrageous History of Arizona From the Beginning of Time to Statehood.